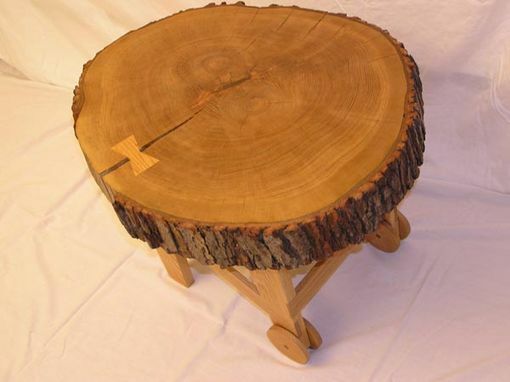 The client wanted a coffee table made from a cross-section of a tree that had fallen at her parents house. 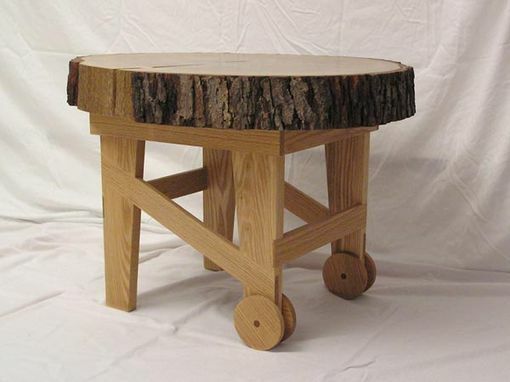 The table was designed to coordinate with her collection of antique tools that she has in her living room. The wheelbarrow inspired base was chosen because the client also wanted to be able to move it easily. 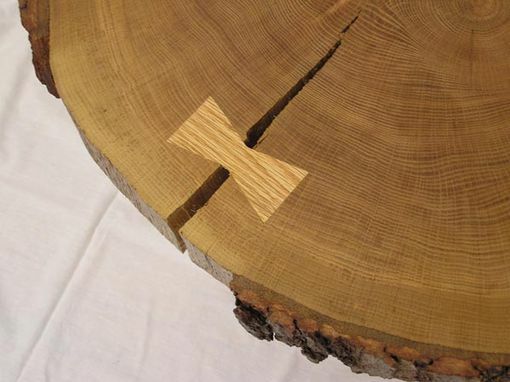 Made of red oak.